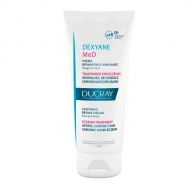 DESCRIPTION: Dexyane Gel Nettoyant Surgras from Ducray is a fat gel that helps to gently cleanse the skin without irritating it. Relieves skin from irritation. Ideal for very dry and atopic skin. Without soap, paraben free, without fragrances, neutral ph. 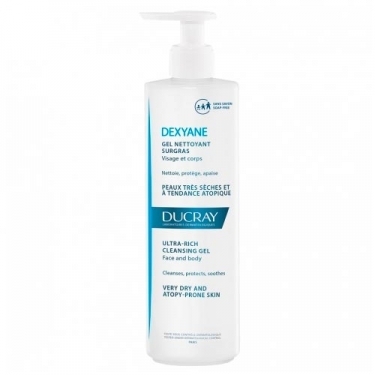 Rich, gentle cleansing base with isoleucine and glycerine for a gentle, protective and anti-irritating cleansing action. It can be used daily in adults and children over 3 years old.